Apple has issued its first legal challenge to the Samsung Galaxy Nexus smartphone as its patent infringement war against Android rumbles on in 2012. Cupertino lawyers have filed suit in a German court claiming that the Android 4.0 device is guilty of copying the iOS slide to unlock functionality patented by Apple. 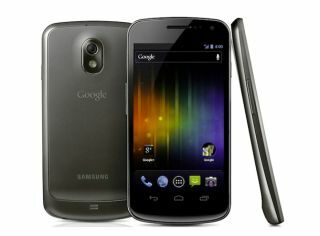 The Galaxy Nexus is one of Samsung's flagship devices as well as being the first Android 4.0 phone, meaning there are more of Google's fingerprints on the device than many other Android devices. "Judging by the first three weeks of 2012, Apple's intellectual property assertions against Android continue to escalate," Florian Mueller, a patent analyst told the AllThingsD website. "Samsung appears to be no less determined to fight. Apple's supplemental infringement contentions targeting the Android 4.0 lead device are an unequivocal signal to Google that Apple doesn't shy away from a frontal assault." Meanwhile, on Friday, a German court also threw out Samsung's assertions that the iPhone infringes upon one of its 3G patents. It continues to be advantage Apple in the global patent wars, but things don't show any sign of cooling off, especially with Samsung planning the below for Super Bowl weekend.